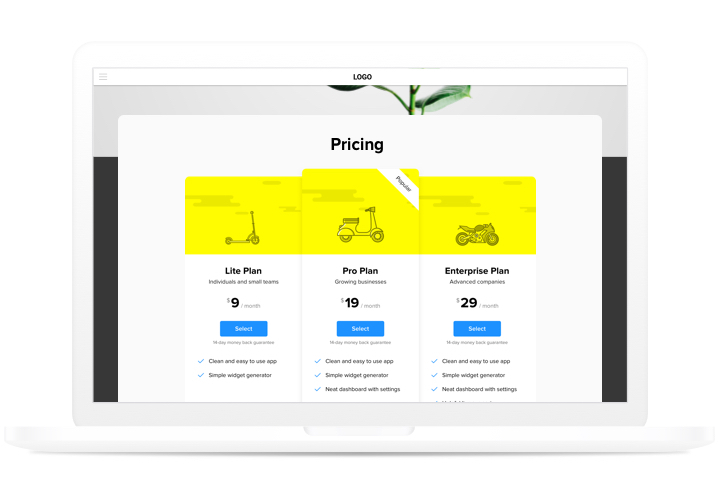 Pricing has one of the primary positions in convincing clients to order. Elfsight app not only enables customers of the site to visualize and measure possible price plans really fast. It also helps raising conversion due to adding the freshest tendencies in interface and layout. Increase sales of your website to reach a new height, with the help of a powerful pricing. Motivate customers to make a purchase. Display maximum the info your future visitors are looking for simply and efficiently, and convince them to make the “yes” choice. Creating app in only 90 seconds. Take a couple of minutes, to create a perfect app. Choose diverse parameters of interface and information to display it in a single click. 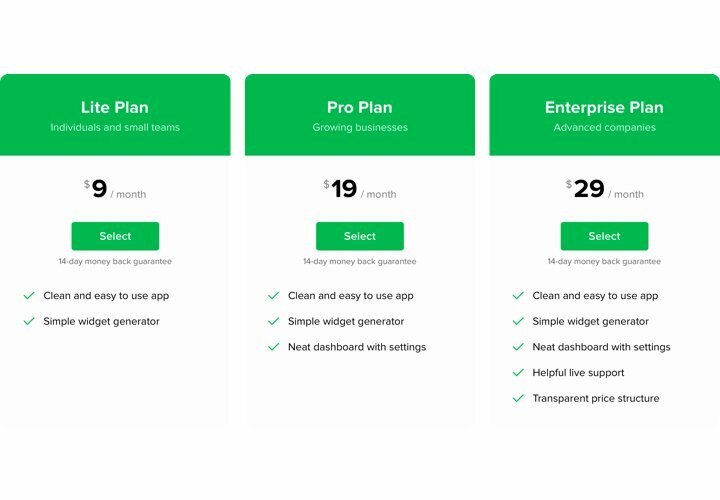 Make your pricing enticing for customers. 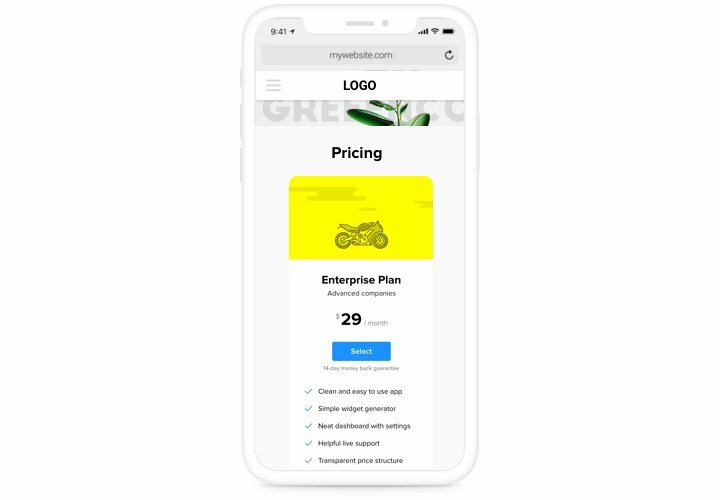 Apply various colors, reorder components, apply pictures, to make your pricing attractive for customers and have positive effect on their purchasing decision. 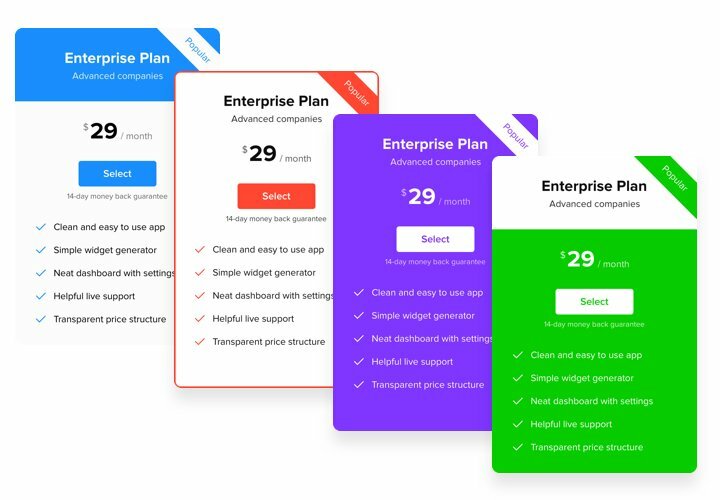 The features that turn our app into the best Pricing Table for BigСommerce websites. 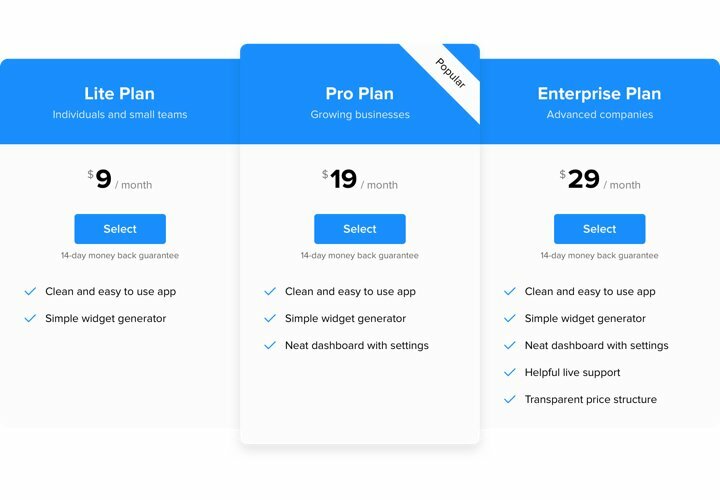 Click «GET THIS APP» on the page with Pricing Table and display the app at your BigCommerce site. On this stage in «My Apps» section, align content and parameters of the appearance. Place Pricing Table on your webpage. Go to «Storefront» «Web Pages», find the page for installing the app and paste the widget code there. Go to your BigCommerce website, to see your app! Having troubles with integration of the app? 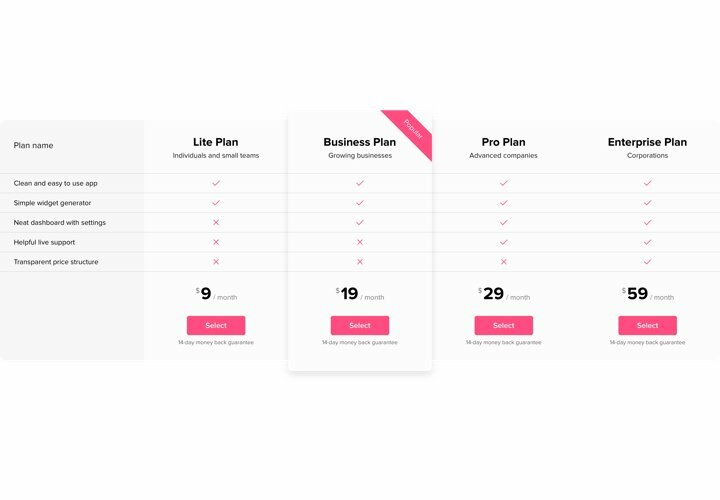 See our extensive guide «How to integrate pricing table into a BigСommerce» or address our customer support, which will solve any kind of your issues in a flash.